South Korea’s Samsung Heavy Industries Co. has secured a $370 million order from Celsius Tankers, a unit of Danish owner Celsius Shipping, to build two 180,000 cubic meter liquefied natural gas (LNG) vessels, the shipbuilder said on Friday. The latest deal also includes an option of two additional shipbuilding orders that would be placed later. The Korean shipbuilder will deliver the two LNG vessels to Celsius Tankers by 2020, it added. According to Samsung Heavy Industries, the vessels will be equipped with a re-liquefaction system on the Mark-III Flex type cargo hold, a selective catalyst reduction (SCR) system and ballast water treatment systems (BWTS) meeting environmentally-friendly standard. The ships will be also built with fuel reduction technology that would help enhance ship operational efficiency. The two LNG vessels, in particular, will be fitted with SAVER Air system, an energy saving device that helps reduce frictional force by spraying air at the bottom of ship to create an air layer between the floor surface and seawater to improve fuel efficiency. 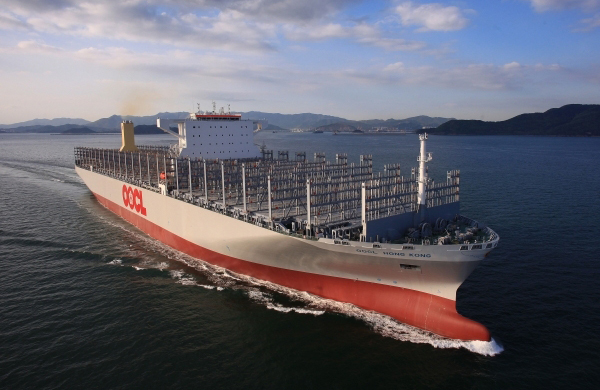 Samsung Heavy Industries applied the SAVER Air system for the first time to a very-large 23,000 twenty-foot equivalent unit container vessel it won last year from global container shipping company MSC. An unnamed official from Samsung Heavy Industries said the company expects to win additional orders later this year with its larger dock availability than that of its rivals. Samsung Heavy Industries has won orders worth $3.3 billion to build a total 31 vessels so far this year including seven LNG vessels, eight container ships, 13 oil tankers, and three special ships. Shares of Samsung Heavy Industries ended up 0.61 percent at 6,620 won ($5.89) on Friday.